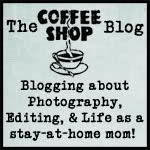 Welcome to the first blog with the new Ethereal Textures used! They say all roads lead to Rome, well this one more so as its a typical Roman road that leads from Carcassonne to Rome. I just shot this quick view on my Iphone from the roundabout at Capestang, it was captured in a bitter north-westerly lunchtime wind but the processing makes it look like evening! Processing was easy, I opened it up in photoshop and cloned out a lamp post on the far right, just poking into the frame, never mind, gone in a moment! I then also narrowed the road markings at the base, a tad roughly but I’d redo it if necessary. I created a new a preset called ‘Tree tunnel’ and saved it for a later pack. Then opened in Topaz Impression and used a painterly filter, again saving at just 50% strength, ready to Texture with Russell Brown’s free Flypaper texture panel with our new Ethereal Painterly set loaded. Many textures worked but I chose one that give this interesting distressed sky effect and left me with a slight vignette. Finishing with a soft brown warming texture to knock back the cold blue tones and voila! A final tweak with Photoshop Levels in Adjustment and brightness to lighten. Both textures are from the Ethereal Painterly pack. All our textures can be used in any editing programme that supports the use of layers, Photoshop, Photoshop Elements, Gimp etc You can also use our textures on your iPad, Android and smart phones if you have the Photoshop Touch app installed. You can only use them in Lightroom if you use an add-on that allows Lightroom to use layers such as Perfect Layers. This entry was posted on Monday, February 29th, 2016 at 2:18 pm. 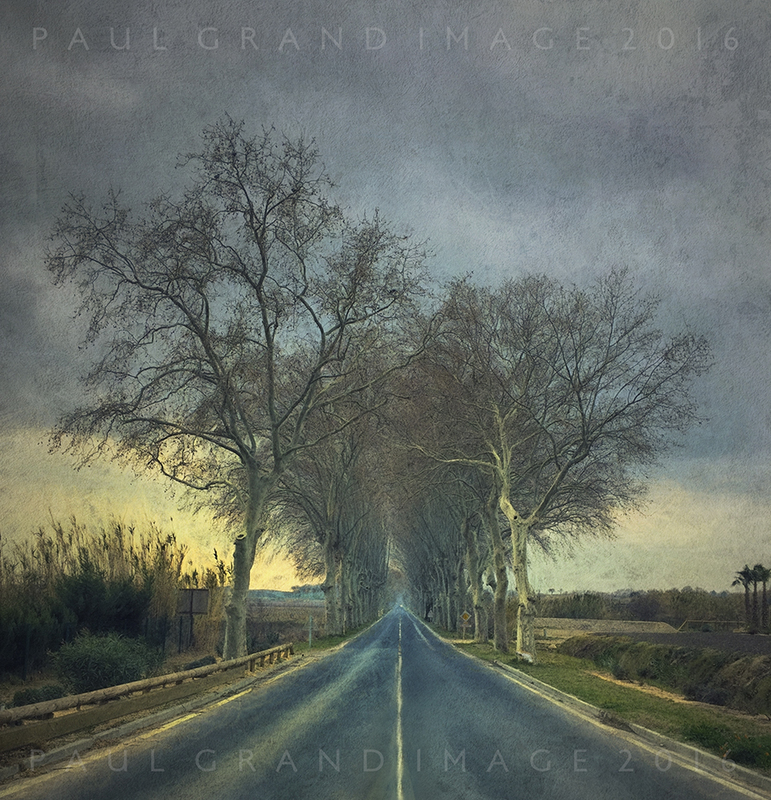 It is filed under Blog and tagged with Ethereal painterly pack, France, Paul Grand Image, Road, Topaz Impression, trees. You can follow any responses to this entry through the RSS 2.0 feed.